Well, we got 8" of heavy, wet snow last night. Needless to say Himself has a sore back tonight. That stuff is heavy. Today I thought I would share a little ornament that I made this year. It was really fun to do, although very labor intensive and time consuming. I made 8 of them.....and that was enough. It's about 3" high and is square. I used kraft card stock for everything, and stamped with GKD inks. 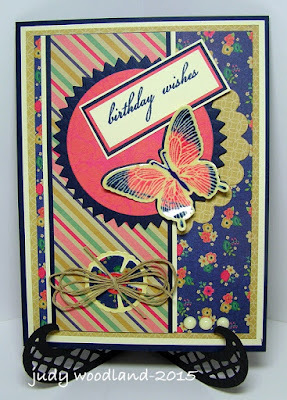 The stamp set is from Papertrey Ink, called Petite Places: Holiday Lane, and has a set of companion dies. The little gazebo style ornament is a die set called Petite Square Ornament, also from PTI. All the little shutters, as well as the door, were die cut separately and glued on, as was the roof. The snow is Liquid Applique. Thanks for stopping by. Hope you are staying warm and have power....there have been a lot of outages lately. Oh, and I adore your comments!! It's the Holiday Lull.....the time between Christmas and New Year's Day when we all step back and take a deep breath. Maybe even feel a little at sixes and sevens because we have been so busy that now we don't know what to do. Well I have the solution - go create something. For Christmas Himself gave me a laser printer. I already have a laminator (not a Minc, unfortunately), so I have been foiling my little heart out. Of course it's difficult to photograph foiling. It's never as pretty in a photo as it is in real life, but there you just are. I did an A2 card with a little curvy die cut border. The inside is lined with Blue Raspberry card stock so that it shows along the bottom. I stamped the image and greeting in black ink, photocopied it with my laser printer and then ran it through my laminator with silver foil. Then I stamped the patterned circles in different colors. I have been having a great time playing with my new toy. Hope you all are relaxing and enjoying the quiet of the moment. We are expecting a storm, the first bad one we have had. We will see if it happens. Stay warm, dear readers, and thanks for stopping by. I adore your comments!! 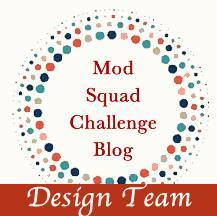 I am hosting this week over at The Mod Squad Challenge. Come and join me if you can. The challenge is to create anything but a Christmas card....it's about time. I know we are all tired of creating a Christmas ANYTHING! You have until next Tuesday at noon to enter the challenge. Hope I see some of your lovely creations over there. Thanks for stopping by, I adore your comments!! Hope your holiday plans and pleasures are coming along. It's a busy time, but I like to still play and do something for myself. This card reflects that. This is a stamp that I bought specifically to make my sister a birthday card. It's called Angel Sisters, and it reminded me so much of her and me. Not that we are anywhere near being angels, but I love how they are embracing each other. I think this is meant to be a Christmas stamp, so I have made a Christmas card here, but the card I made for her was completely different. One of my BFF's, Barb Campbell is hosting the Mod Squad Challenge this week, so this will be entered in her challenge. Barb is super talented, go visit her BLOG and see what I mean. Thanks for stopping by, I adore your comments. Don't get so busy you can't enjoy the season! Today we are picking up our 2 grandsons so they can be here through the weekend, so I thought I had better get this done now before they arrive. I certainly won't have time after they get here...lol. My offering was made for the Stamp TV Monday Challenge, hosted this week by my dear friend and the very talented Joyce Erb. She has challenged us to use red and gold on our card. For the background I took some watercolor paper and used the paper smooshing technique with Distress Inks. Then I did a cool thing with watered-down glue and gold glitter. You use liquid glue, thin it down a little with water so you can splatter it, do the splatter and then sprinkle on the glitter. Dawn Griffin has done a couple of videos recently with this technique and I think it's just so pretty. Isn't it cool?? I colored the apples with Distress Markers, and the Crackle Accents brings out the shades so they are even brighter and deeper. So thanks for stopping by, I adore your comments. I'm anxious to see my boys. Today is the youngest's birthday, so now they are 8 and 10 - really fun ages. Course I think they are fun at any age! Anyway, have a great weekend, and I'll catch ya later. What glorious sunny day it is. A welcome site after the 3" of snow we woke up to last weekend. Wish it would stay this way. I am entering today's offering in the Mod Squad Challenge Blog. 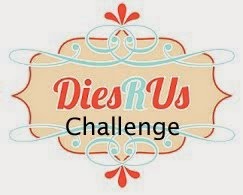 This challenge requires that you make a winter card using at least one die. 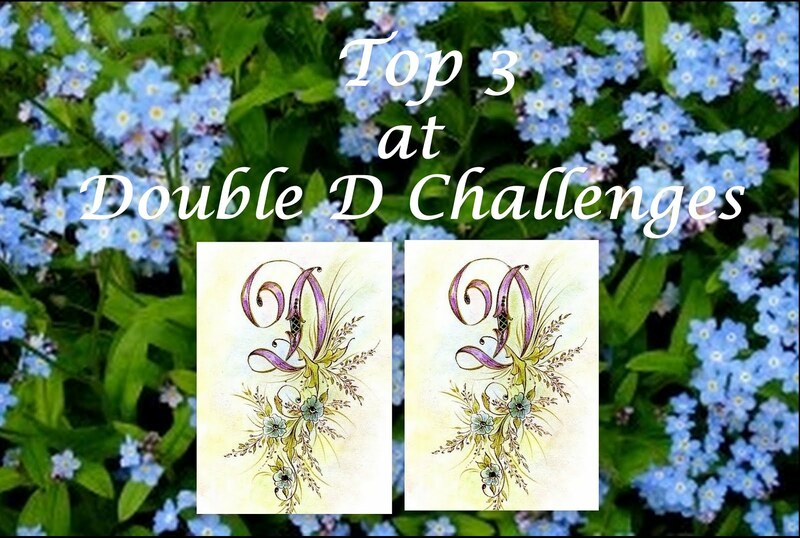 The blog is being hosted this week by two of my favorite people, Donna Phelan and Joyce Erb. Both these ladies are over-the-top talented. Click on their names to visit their blog. I used several dies on this card. The blue ornament was done with Brushos on watercolor paper. After I painted the paper I added some gold splatters and die cut a circle that perfectly matched the ornament die. LOVE that die, I won it some time ago, and can't remember when or where. ~scratches head~ For the panel I embossed some white card with Cuttlebug's Swiss Dot folder, cut an oval out of the middle, and then attached that beautiful, delicate oval snowflake die cut on top. That panel was attached with foam tape so the ornament is seen through the oval. I had a little left over from the Yupo and alcohol inks piece, so thought I better use it up. I used 2 embossing folders and a leaf punch for this one, along with the Martha Stewart Branch punch and some gold thread. Thanks for taking a look, your comments are always appreciated. Have a lovely week and enjoy these beautiful fall days! Kind of a dreary day here.....a good day to go shopping at Hobby Lobby. Course that means spending money - and I'm good at that...haha. 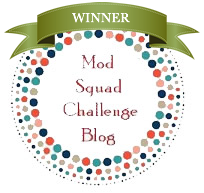 Today's offering is for the Mod Squad Challenge, hosted this week by one of my BFFs, Barb Campbell. 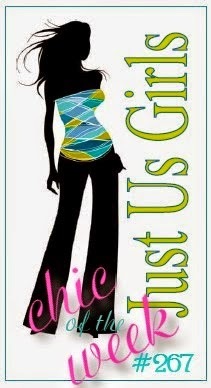 Check out her BLOG, you won't be disappointed. Her challenge is to "Get Your Fall On". I thought I would try some alcohol inks on Yupo paper to see how they would behave. I love how it turned out. Did a little gold heat embossing with a leaf stamp from Gina K Designs and added some ribbon and bling. This card will be sent to my BIL for his birthday. Thanks for stopping by, your comments are always so sweet. I have one more post to do, so I'll see ya on the flip side!!! It's been so long since I have posted anything here on my blog I'm not sure if I can remember how to do it. We had an awesome time out West - my head is STILL spinning. Just Us Girls Challenge, hosted by my dear friend Nancy Leppek this week, to use a stencil. I used a die by Spellbinders called Diagonal Chevron, die cut it with light blue card stock, and then layered it over the white card which had been stenciled with translucent paste and spinkled with clear glitter. The glitter looks pink in the photo, but it's really just sparkly clear. Then I put some die cuts from Ellen Hudson on top, and silver heat embossed the sentiment. I have to say I'm not really happy with this photo - I think I need a new camera...lol. Thanks for stopping by, I adore your comments. It's been far too long since I have been here - I promise not to stay away for so long next time!!! This may be the last post I make before our trip out West. Maybe I'll be able to post along the way and share some photos - that would be awesome. 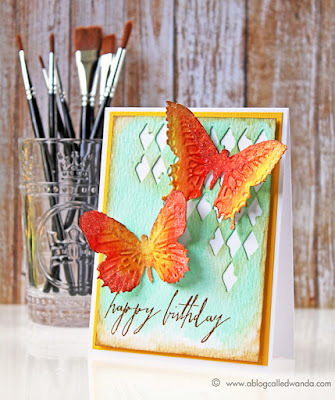 Today's card has been made for the Mod Squad Challenge, hosted this week by one of my over-the-top talented besties, Barb Campbell. You MUST go check out her BLOG and see how talented she really is. Her challenge is to do the whitewash technique. To watch a video with this technique visit the Mod Squad Blog - she has a link to a video by Melanie Muenchinger there. I LOVE this little bird, and I love the GKD stamp set he came from, Winter Wings. I just think he's so sweet. Here I used kraft card stock to do the whitewash, and I really like that soft light blue with it. I am beyond excited about our trip out West. We will be gone 3-4 weeks. I'll try and post once in awhile if I can - we should have internet access sometimes. Thanks for stopping by, I adore your comments. And enjoy your fall!!! I'm getting ready for a visit from the Adored Ones, those Princes of Michigan. They will be here from tomorrow until next Wednesday. Let the games begin!!! 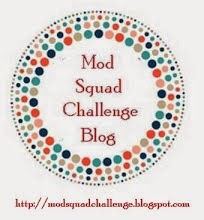 This post will be short, but I wanted to make sure and enter a card into the Mod Squad Challenge this week, because it's being hosted by my dear friend, Kathy Krug. Check out her blog, her work is amazing!!! The challenge is to use any die that is sold on the One Happy Cut website. I have been wanting to do a monochrome card for awhile, so I thought this would be a good time to try it. It's kinda fun, but challenging to not introduce at least a little color. The card stock I used is pearlized, so it has a pretty sheen. So that's it. Back to getting ready for the Wild Thangs. Have a great weekend my friends. Oh, and I adore your comments!!! Boy, it's been a long time since I posted here on my blog. You can just call it summer. And it's retched HOT here, not the usual for Northern Michigan. Today it will get up to 92!!! Today's offering was made for the Great Impressions July Challenge. 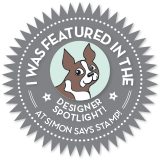 My Online BFF, Donna Phelan, has been made a member of the Design Team for this great stamp company, and I'm so happy for her. Go check out her blog, she is over-the-top talented. The challenge this month is to use your favorite stamp. Really??? How can I even pick, I have so many favorites. 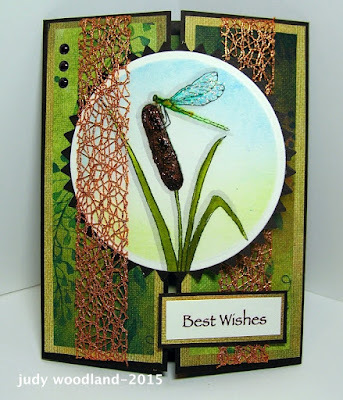 This is a stamp from Designs by Ryn called Water Effects 1, and was a gift from a very dear friend. I love Ryn's beautiful images, they are so unique. 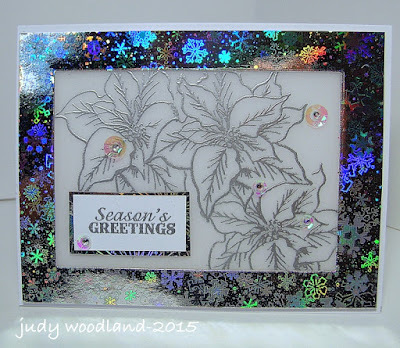 The silver swirls in the background are from another stamp by her called Sea Bubbles. I heat embossed the image with silver embossing powder. This card is definitely in the collage style, kind of fun to do once in awhile. The background for the water droplets was done by coloring Zig Clean Color Brush Pens on my craft sheet, spritzing with water and smooshing watercolor paper on the ink. Love that technique. 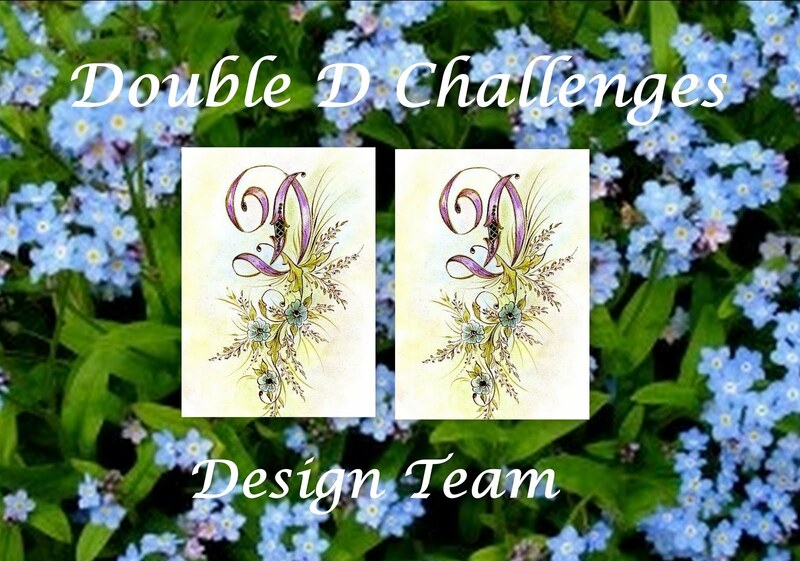 I am also entering this in the Designs by Ryn July Blog Challenge. That's it for me. I need to go get a cold drink and sit under the fan. 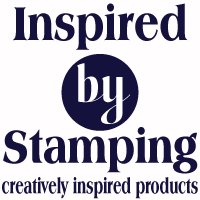 I hope you check out the Great Impressions Stamp Company, their images are awesome! Stay cool, my friends, and thanks for stopping by. I adore your comments!!! This is my second post of the day. Also to be entered in the Mod Squad Challenge, to use water or sky on our card. 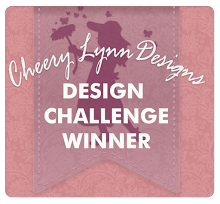 This time I chose water, and I used one of the beautiful water droplet stamps by Designs by Ryn. Her work is amazing, so realistic. I made this card for our son, Josh, whose birthday is next week. I thought it would be a good masculine card. The water droplets are one stamp - don't they look real? I used a white gel pen to point out the reflecting light and then covered the drops with Stickles to make them sparkly. The holes on the upper part of the card are made using a Sizzix die from a set called Mixed Media. I created the background by smooshing Dusty Concord Distress Ink onto my craft mat, spritzing with water, and then applying watercolor paper. You do it several times, drying the paper in between. I love the effect. So that's it for me today. Still staying inside because of the heat. Thanks for stopping by, as always I adore your comments. This is, without doubt, the hottest day of the year. 90 degrees with unbearable humidity. Guess where I played today....yep. My Craft Room. We don't have air conditioning, but we close the house up in the morning, and it stays amazingly cool for most of the day. Today's offering is one of two. I'm entering this card in the Mod Squad Challenge. 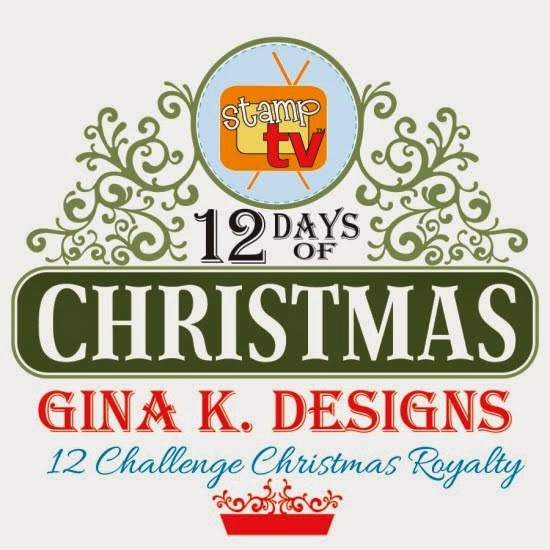 The challenge this week is to do either water or sky, and the sponsor is Kitchen Sink Stamps. If you haven't checked out this great company yet, you should. They specialize in multiple stamping, and the effects are amazing!! 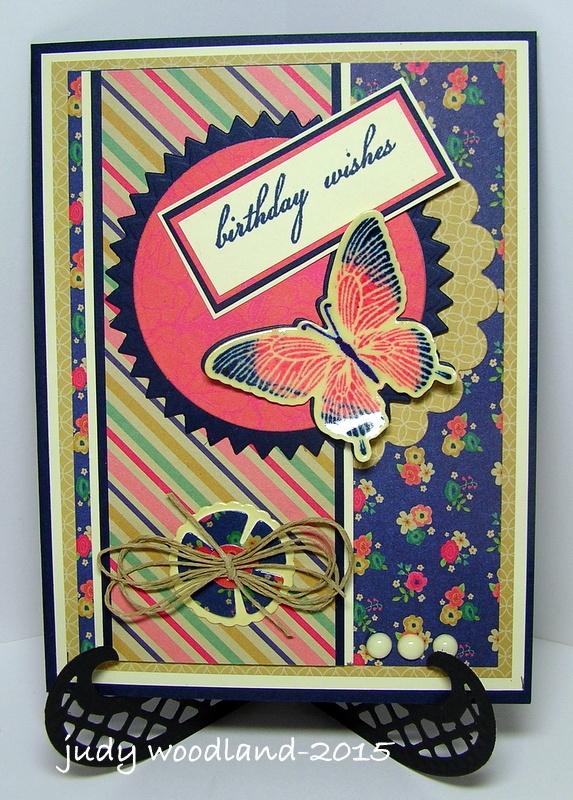 I had no idea how I was going to make this card, I just knew I wanted to use that amazing butterfly. It's a triple stamp image using 3 different ink colors. So, I cut out a cloud shape and just started sponging. Then I saw a circle up there behind one of the clouds, and I thought it looked like a sun. Bingo, I cut a circle stencil and sponged in the sun. Added a little Wink of Stella for glitter, and there ya go. Lots of detail, what fun to use!! Hope you check out Kitchen Sink Stamps! I think you will be amazed. Oh, and thanks for stopping by, I adore your comments! What a beautiful day! Love it when the sun is shining, the temp is not too hot or too cold, and there is a gentle breeze. Michigan is a fickle lady, so when she gives us a day like this I am beyond happy. Today's card was created for the Just Us Girls Challenge, to use gold in your card, and the STV Monday Challenge, to do some masking. So glad you stopped by, hope you are having a fabulous day! And I adore your comments!! This will be a short post. I just wanted to get this card into the Mod Squad Challenge. This week we're talkin' FAST AND EASY. And Melanie Muenchinger is our sponsor. LOVE her designs. Check out her blog HERE. I pulled out an older stamp set by Melanie called A Beautiful Life. The whole image is one big stamp, and then you just color it in.....easy peasy. And I love coloring. Here I used watercolors. Thanks for stopping by. Sorry this is short, life is busy!!! I adore your comments, enjoy your week my friends. This will be short, I have been busy today. 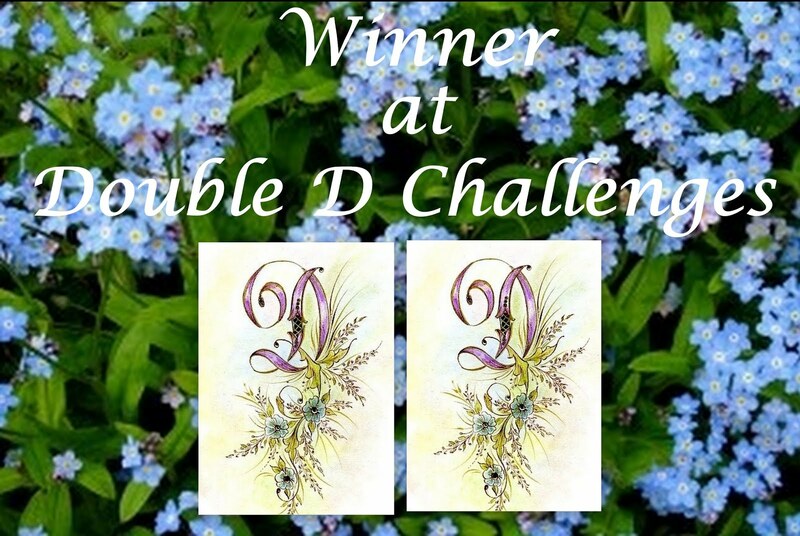 But I wanted to get this card entered into the Mod Squad Challenge, hosted this week by my dear friend Joyce Erb. We have been asked to used patterned paper - easy peasy. I got a new die set from Ellen Hudson called Wild Garden. All the dies are just outlines. Here I cut a few shapes from gold foil paper, and then cut them again with patterned paper and used the inlay technique. Love how those flowers came out. Thanks for stopping by, I adore your comments. Hope you had a fun and safe Fourth of July weekend!